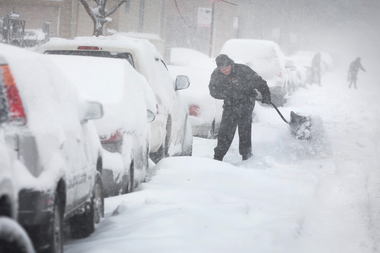 CHICAGO — You might want to sit down before you hear this: The city's expected to get 3 to 6 inches of snow this weekend, according to meteorologists. The snow will start at 10 or 11 p.m. Friday and last throughout the day Saturday, though it will start slowing down around 3 p.m., said John Gresiak, a meteorologist for AccuWeather. He said there will be a "pretty potent storm," but snowfall will vary widely throughout the city.